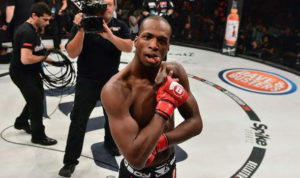 An extremely stacked Bellator 216 card featured two fighters long slated to face other in dangerous striker Paul Daley and undefeated British powerhouse Michael ‘Venum’ Page (13-0 MMA, 8-0 Bellator MMA). The fans in attendance at Mohegan Sun Arena in Connecticut where certainly treated. Tensions were high between Daley and Page due to the bad blood between the two. The first round didn’t feature much offense as both the fighters processed each other. The second round however featured something rather unusual. Daley, who is known for his striking prowess and has criticized fighters in the past for taking the grappling route, himself started applying a wrestling based approach. Daley continued the similar approach throughout the fight. 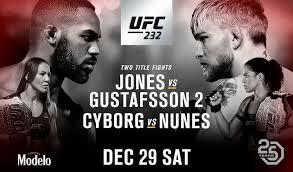 Page was able to land some kicks of his own and also managed to take Daley’s back eventually defeating him via unanimous decision (48-47 on all cards). Page was able to get the job done dealing with the trauma of his dad’s sad demise, makes it even more impressive. The main card kicked off with debutant Valerie Loureda take on Colby Fletcher. Loureda was able to get an impressive TKO victory courtesy of vicious ground and pound. Also undefeated Yaroslav Amosov took on UFC veteran Erick Silva. Amosov defeated Silva to extend his winning streak to 21. In addition, legend Cheick Kongo took on former champion Vitaly Minakov in a virtual title eliminator. MMA legend Mirko Cro Cop also made his Bellator debut against veteran Roy Nelson.